Our enchanting brides, along with panels of distinguished wedding experts, have cast their votes and again bestowed several prestigious awards on Briar Patch Bed and Breakfast Inn for 2013! We believe it is our commitment to listening to each bride's vision of her special day coupled with our spectacular country setting that results in so many beautiful wedding ceremonies and receptions at Briar Patch and leads to the award winning reviews submitted by our brides. Receiving these awards is literally the icing on the cake for our staff. After all, our first priority is to delight our brides and grooms, and make time spent with their families and friends on their wedding day simple, elegant, and memorable. So what exactly is the background on these awards? 2013 marks the fifth year in a row that Briar Patch has received the Wedding Wire Bride's Choice award; we are proud to have won this award every year since its inception in 2009. Votes are cast in the form of reviews from the brides for each venue or vendor they worked with during their ceremony and reception, and then Wedding Wire selects the top 5% of eligible wedding businesses. This site boasts over one million reviews posted, and we are pleased to have risen to the top in our category! This is the third time we have received The Knot award, thanks to bride's who love us! Winners represent the top 4% of all wedding vendors reviewed in the Northern Virginia/DC Metro area - no small accomplishment. 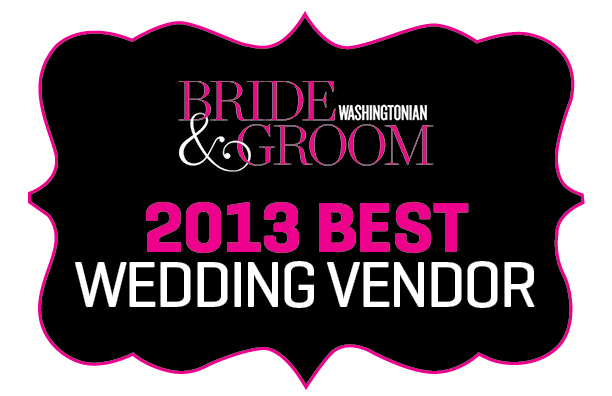 2013 marks the fifth year in a row that Briar Patch has won the Washingtonian Bride & Groom Best Wedding Vendors award, and have enjoyed receiving this distinction every year since they began giving the award in 2009. The award recipients are selected by editors of the magazine supported by a panel of wedding industry experts who designate the top businesses in each category. While these awards are important to us as business owners, the real rewards are watching wedding dreams blossom into reality for the couples we get to know along the way. Whether you are planning an intimate destination wedding, or gathering for 200 of your closest friends and family, get in touch with us and learn more about how the lovely grounds and modern event center at Briar Patch Bed & Breakfast Inn will add a little extra fairy dust to your wedding day dreams.